Need help finding a job or getting the qualifications for a position? We can help. Looking for individuals willing and desiring to learn and grow? We can help you connect. Looking for assistance with your GED or ESL? We have the resources. Looking for ways to get back on the learning track. We know the path. As Cobb County's American Job Center, WorkSource Cobb provides access to a system of employment and education services for our community. In an increasingly complex workforce and economy, people sometimes need guidance and assistance in managing their career development, particularly when challenged with unexpected events. WorkSource Cobb provides workforce services that assist people in helping themselves and their families. 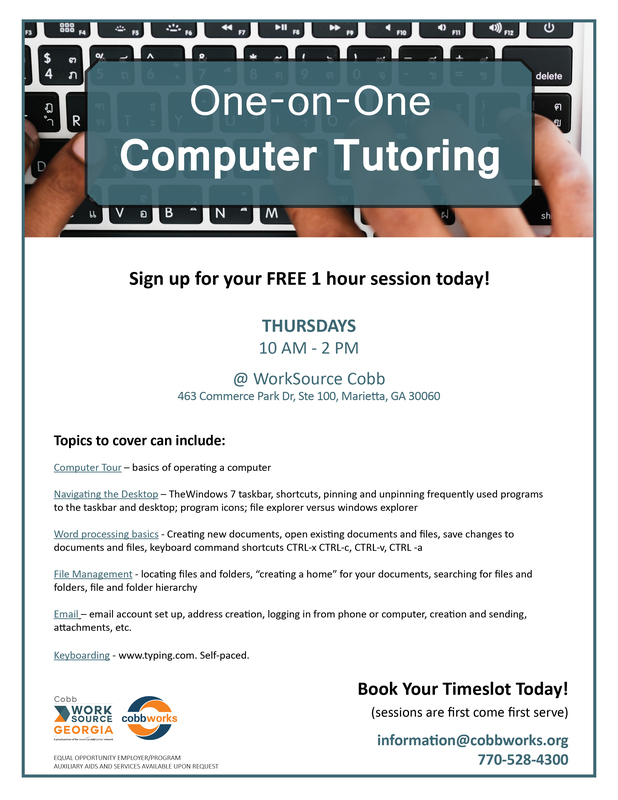 Sign up for your free one hour tutoring session today!